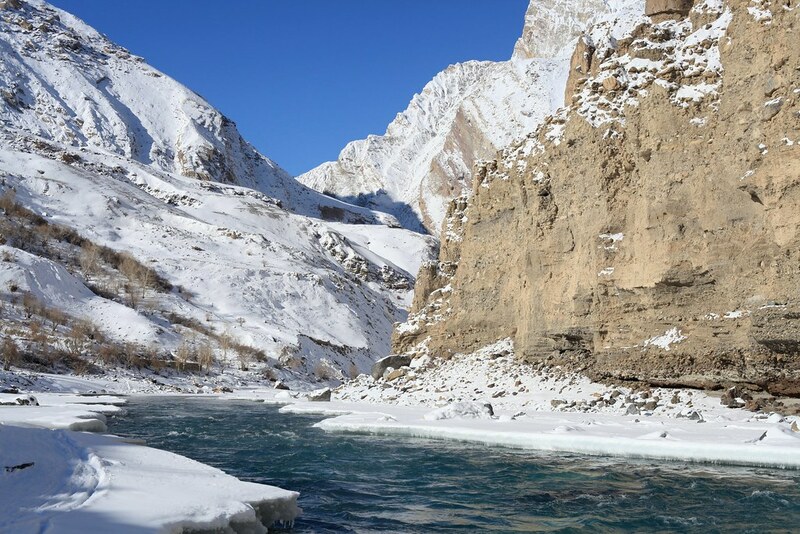 Sometime during 2010 there was a show on National Geographic Channel which showed the winterroad from Leh to Padum through the frozen Zanskar River. The hardships and the movement of people and goods by Zanskari moved me. Searching the internet i found that there is a winter trek which happens here every year. I was really surprised to see the beauty of the place through the pictures posted on internet specially those of my friend Manish who was doing this trek since 2008. His awesome photography skills simply amazed me and put me in the dilemma. 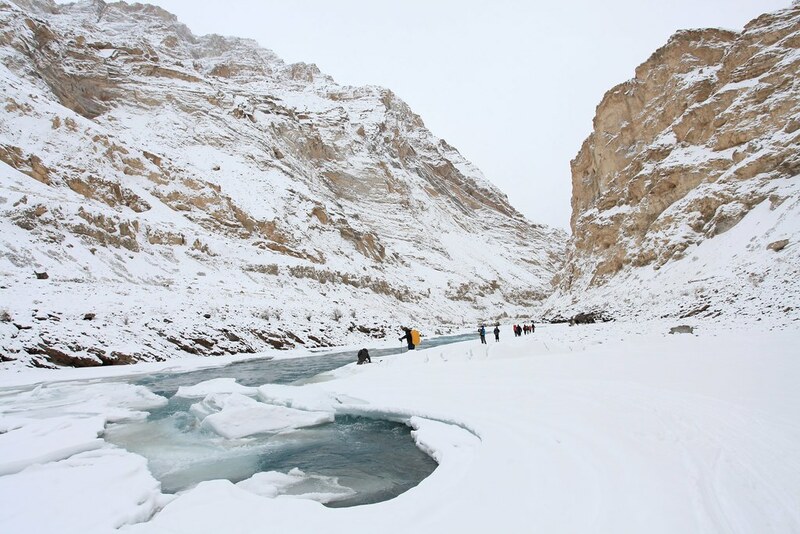 The barren winter landscape, the whiteouts, the deep gorges and the blue waters of Zanskar made me mad. It is a photographer’s delight. 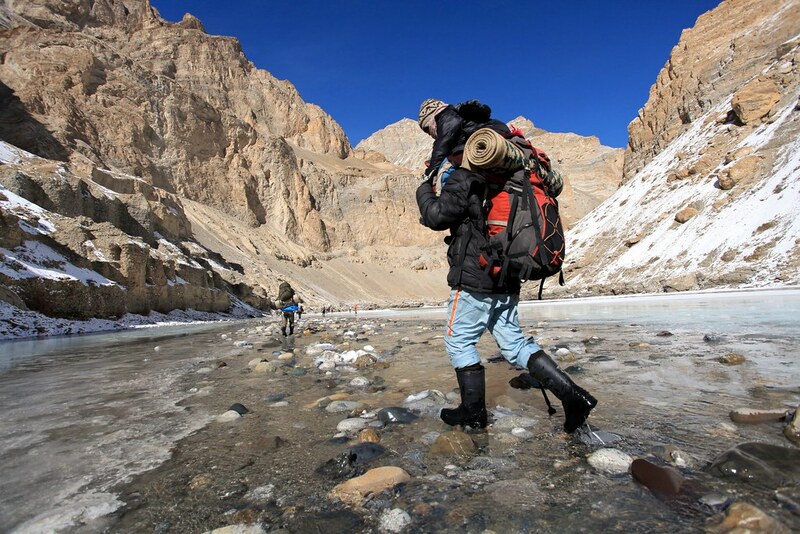 If you love adventure and photography, then this trek is a must do. Now the sheer brilliance of the pictures make me think that i should make this trek. But the temperature and the broken Chadar scared me. I thought whether this mortal soul can make it through the cold waters and chilling wind. I spent the whole winter of the 2010 and 2011 in the dilemma. 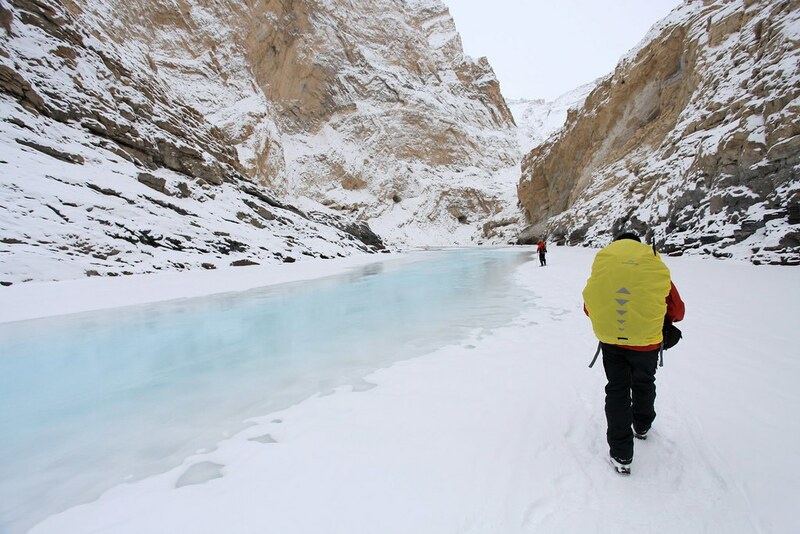 I booked the trip in Chadar with my friend Sandeep and Rakesh who runs the company Trek The Himalayas. I did the Winter Kuari Pass in 2011. My footfall on Chadar will be on February 2013. I booked the tickets to Leh from Delhi. Total cost of the fights is surprisingly below INR 5000. Thanks to my miles accrued through the office travels, i got my onward journey from Delhi to Leh for just a nominal fee of one grand. The return flight costs around Four Grand. 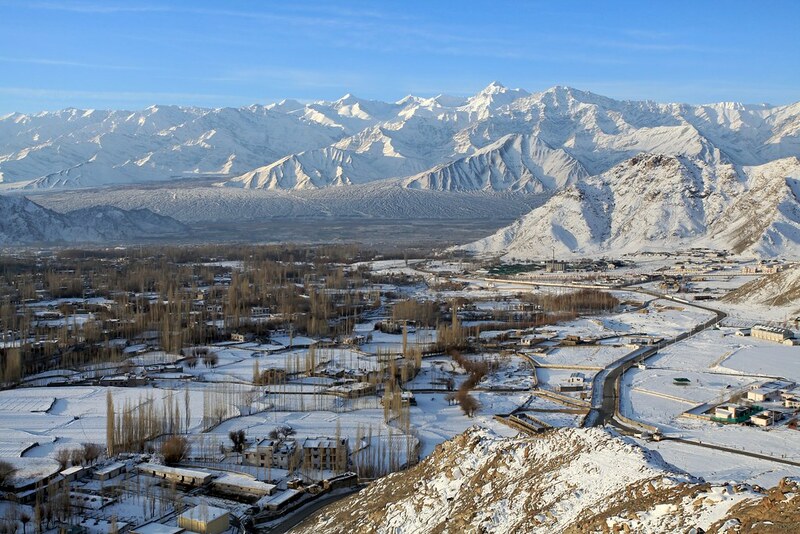 Getting cheap tickets for Leh is a dream in summer when prices go as high INR 30,000 and normally range around INR 15,000. This makes life of normal travelers very difficult. The total budget goes haywire. Actually in 2011 i enquired about the trek through an online travel group and the total trip was 15 days( Leh – Leh) and cost around INR 75000. 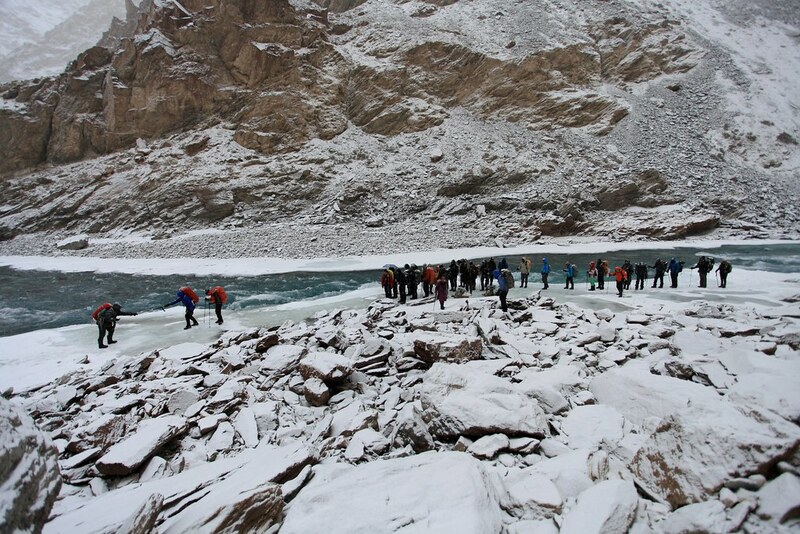 I wanted to do this trek but was mentally not prepared for the hardships for 15 days. 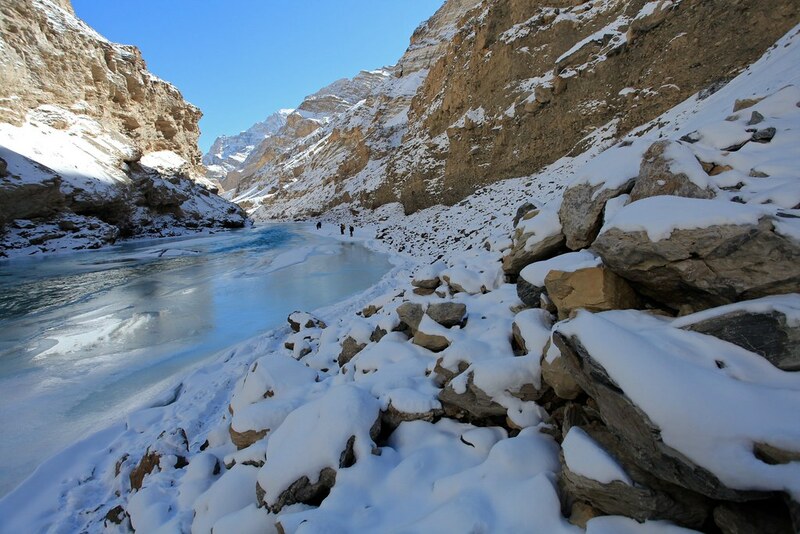 So i wanted to test my winter stamina this winter of 2011 and went to trek the Kuari Pass during Christmas weekend. 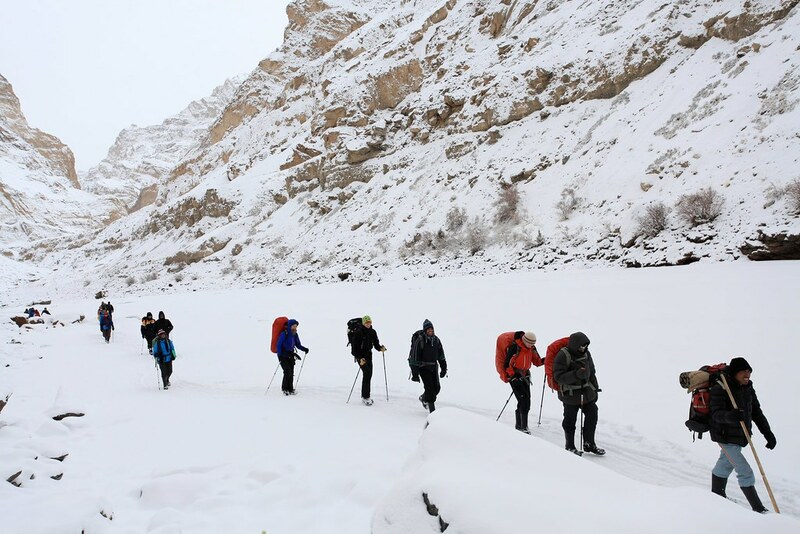 Though the temperature was way below what you experience in Chadar, but it provided a head start for a possible expedition on ice for next winter. With the total trip costing below INR 25000, i was happy that this trip is not burning a hole in my pocket. Adding to the sweetness was the simply amazing views i got from the flight. The trip is totally worth the price paid for. Haryana Plays Ice Hockey ? The trek team consisted of 18 brave souls. I met couple of them on my flight from Delhi to Leh. After reaching Leh we met few others. We put up in a guest house in the foothills of the Shanti Stupa. One of our trek friend had a friend whom she wanted to meet on that day. The person is an ice hockey trainer from NHL. Wow…thats amazing. People from NHL coming to Leh for training of the fast sport.We all decided to take a stroll to the market and then to the ice hockey venue for some fun. 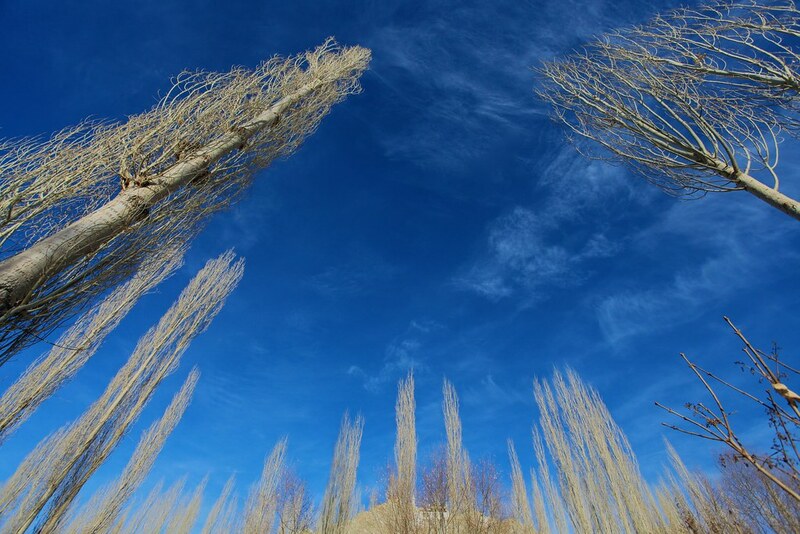 There is an annual event which happens every year in Leh. 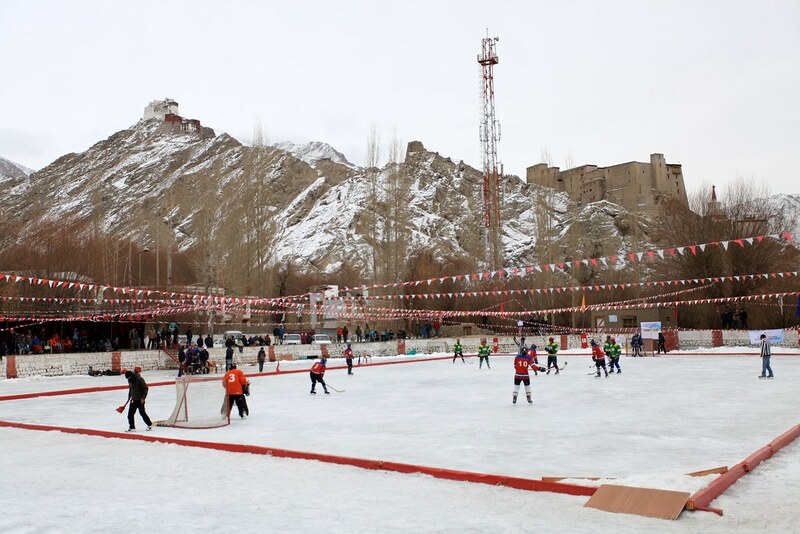 The annual ice hockey tournament this year is sponsored by some major business houses of Jammu and Kashmir, but sadly it does not make it to the main stream news or sports news. At 3 PM the match is between two young teams: Haryana and Karnataka. I asked the coach about the names? He smilingly told Haryana is just a name and nothing to do with the state. All the players are local Ladakhi Kids. The game went on in its fast paced standard as usual. Haryana won the game 4-2. The most scary experience of my life is about to happen. The trek is about to start from Tilat Do. The drive from our Guest House to the Campsite does not take more than 2 hours. The NH1A is an amazing drive from Leh till the the confluence of Indus and Zanskar. 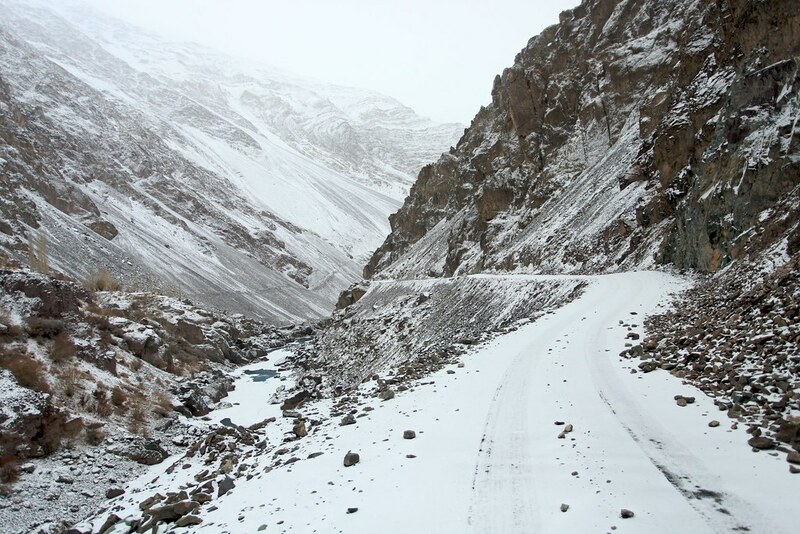 From here the road climbs the Zanskar on a narrow path till the end of road. It was cloudy since morning. There has been some snowfall last day and night. The road looked completely white at few places. The chances of black ice was very much imminent. Add to that the young driver was driving quite fast. I was sitting next to the driver to capture the video of the trip. Oh..what a mistake i had done by choosing the front seat. At one bend, the van skidded and i prayed for life. the people in the back were not able to feel the danger in it. Stefanie who was sitting next to me closed her eyes and was extremely scared. I asked to driver to slow down and take it easy. Finally after nervous half an hour we reached the end of the road which was also end of the scare. The Ladakhi Tea with Yak Butter ! During the trek the food was amazing. We enjoyed hot cup of tea every morning and evening. The tea tested awesome during the freezing cold weather. 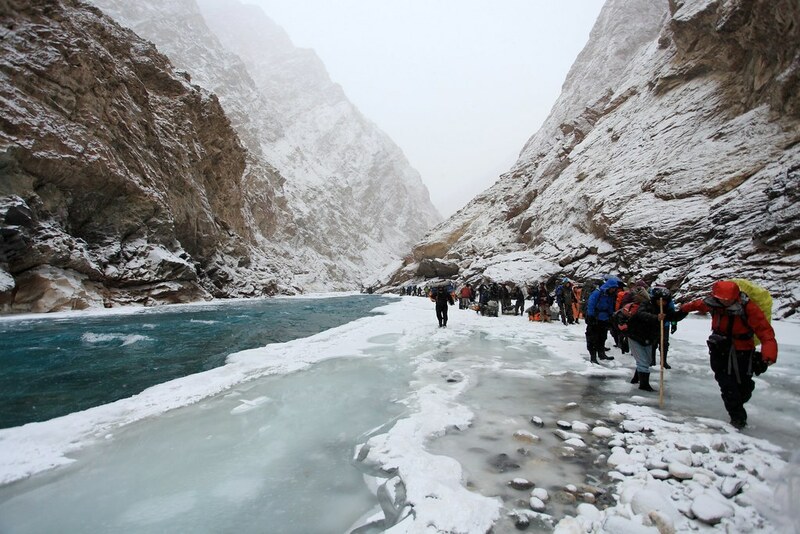 During third day of the trek, the weather was bad but much better than the second day. It was a complete white day on Day 2. Day 3 we were little lucky to see sun during later part of the day. The sky cleared up during evening and it became colder for us. 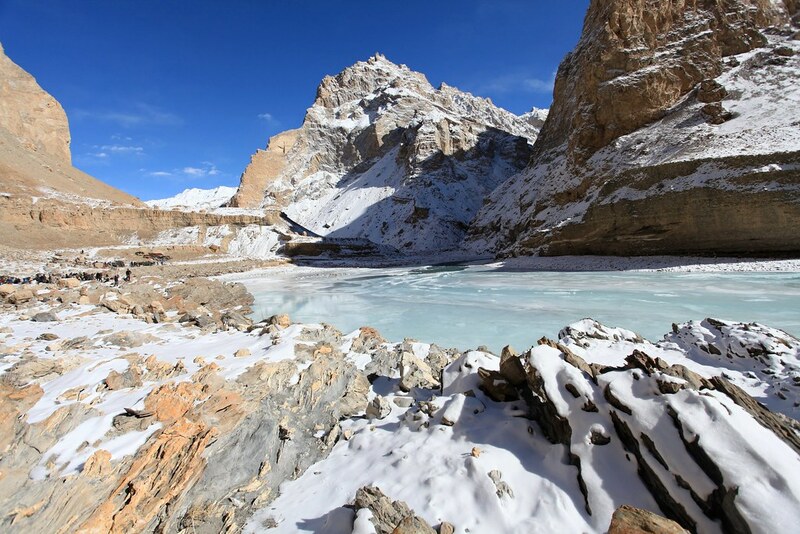 The camp was set on a high ground on the banks of the Zanskar. The River was flowing slowly at the far end while it was thick Chadar at our side. To reach the bank we crossed snow covered stony bed. 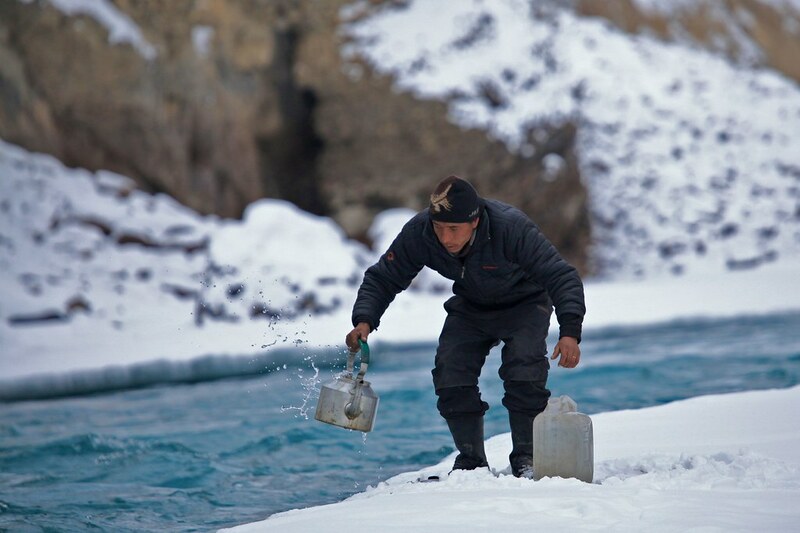 A Kitchen guy got some fresh water from the river for evening food. Just behind our camps is a huge natural cave which provided shelter to the porters. 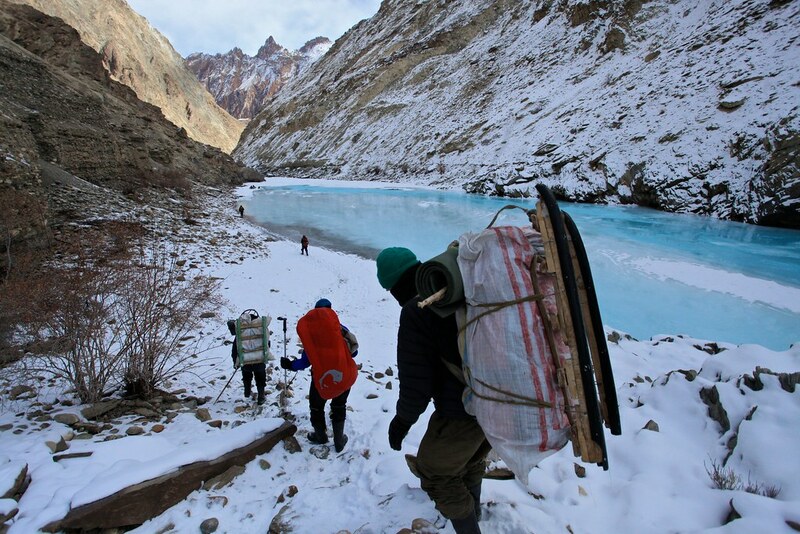 The group of porters got fire wood from the surrounding and the fire kept the cave relatively warm. A porter was there with his small kid and they were enjoying hot tea. I was sitting next to them and they offered me the local drink. The taste was salty compared to what we are accustomed to. The tea tasted great to me and i finished two cups. The spoon of butter and salt made this tea a good drink during this cold weather. I got a packet of Ladakhi Tea but i never got the taste of the tea here in Delhi. I miss the Ladakhi Tea. The Cosy Kitchen at Nerak ! After 3 nights in the tent out in the open, we camped in trekkers hut at Nerak. It was like a luxury for us. In addition to this i was destined to sleep in the cosy and warm Kitchen with the Guide and Kitchen Staff. After reaching Nerak, we climbed to the village which took around an hour and after returning to the hut we spent time discussing with other trekkers. After dinner we decided to go to the roof for some night photography since the sky was clear and the stars are shinning bright. We did take lots of pictures and then moved in to the corner of the kitchen for an air conditioned night. After spending 6 nights in the wild, today is the last day of the trek. The overall experience has been awesome. 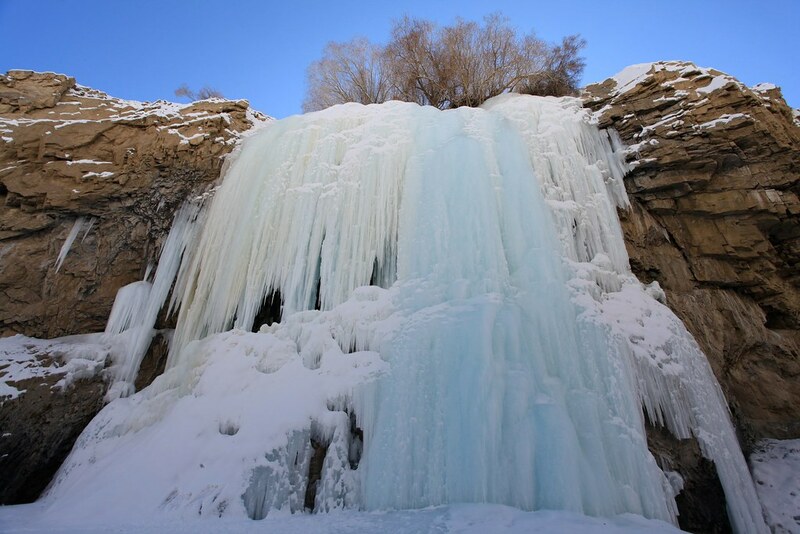 We saw clear skies to whiteouts with feet of snowfall, easy walk on thick chadar to treading waters which went to knee height at points, jumping waterfalls to crawling below stones and what not. 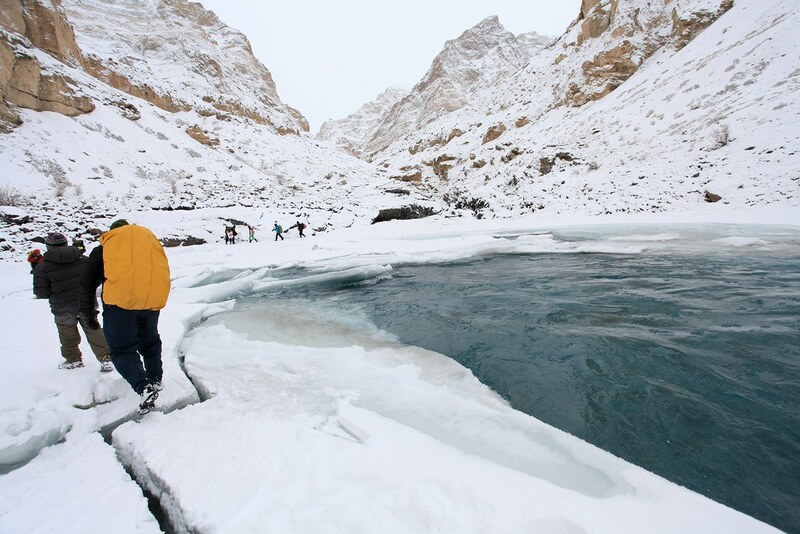 The first walk on chadar was really scary but with the idea of sliding the feet on the ice rather than walking in the shinning surface made the walk easy. The road head now is just about minutes away after one last bend. 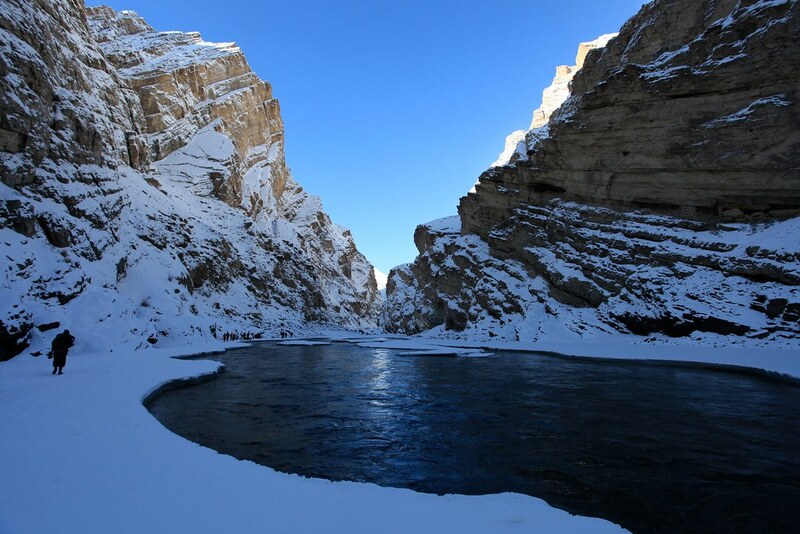 The Chadar has broken here at places with slow treading of water. I could see the first night campsite at a distance. It was only me and a porter while i could not see any one. I was almost ahead of pretty much everyone in the group with few adventurous souls already finished the trek. I was feeling happy with the trek, the pictures i could take and happy now to finish and go to home now. Suddenly the balance went out of control and i slipped and hit the ice hard. Oh yes I have fallen and really hard. Luckily the backpack supported me like a cushion. The porter came up and lends me a hand. I was up again and was really feeling happy. Finally i experienced something which i had missed till now. After few minutes i reached the Day 1 campsite and meet other trekkers. We were really excited and happy to have completed the trek safe and sound. The ski bus was waiting high up on the road, but luckily now there is no ice on the road per the driver. 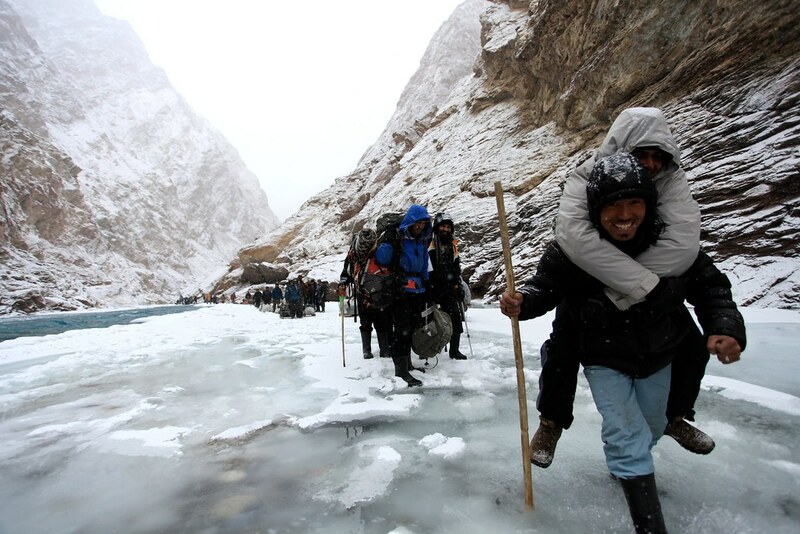 There are many more stories which people experience during the trek and this is what makes it an amazing experience. You must walk on the ice to experience it.